Try on different styles everyday with our Women’s 2 Way Rib Tank Top! 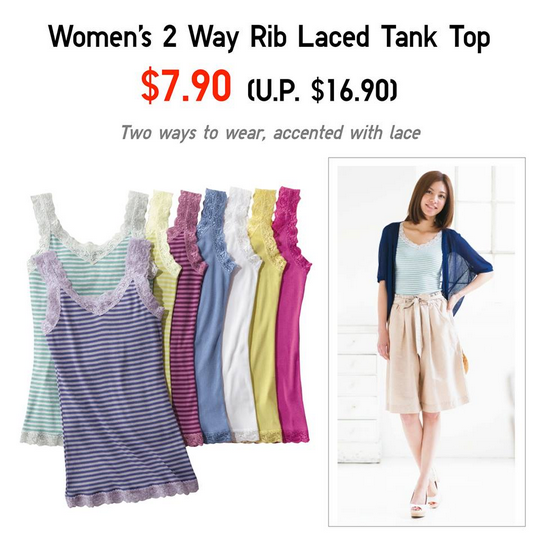 Accented with lace, add the extra detail to your outfit! Now available at $7.90 (UP $16.90).